In this video, Alison from Los Angeles talks about the recovery post her bariatric surgery in Las Vegas, Nevada (NV). Following is the narration of this weight loss video testimonial. “Post-surgery – I have my surgeon’s cell phone number, also if there was any issue I can call them. Directly after surgery he came and saw me twice to make sure I was recovering of okay. He had more direct communication with my friends, because I had just woken up from anesthesia and I wasn’t really quite…….so he talked a lot with her. Then three days after surgery I went back to his office and I had a post operative appointment with him and he removed a, I had a pain pump that he put in so he removed that and checked my incisions and made sure I was doing okay. I told him how many fluids I was able to absorb and he said I was doing great, keep it up and he wants me to call him in two weeks so I am due to call him early next week, just give him an update. But apart from that I have not really needed, my recovery has been so good I have really had no questions for him. I feel that I am progressing the way I should be. Alison had the gastric sleeve surgery at a leading weight loss center in Las Vegas . The center is well equipped with the latest technology and the surgeon is also highly qualified. Not only sleeve gastrectomy but many procedures like gastric band and gastric bypass in Las Vegas are now available for low prices. 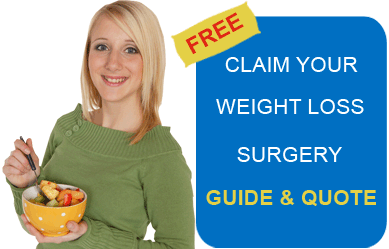 Submit the free request quote form on the right for more information on recovery post bariatric surgery, Las Vegas, Nevada.